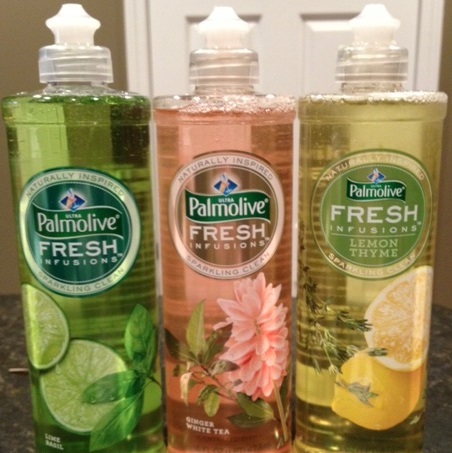 Influenster sent me three bottles of Palmolive Fresh Infusions dish soap to try out. The scents are Lemon Thyme, Lime Basil and Ginger White Tea. My favorite scent is the Lemon Thyme. It's not overpowering and it lasts the whole time you are doing your dishes. You get lots of suds and your dishes turn out squeaky clean. I gave my friend the Ginger White Tea to try out. She loved it and will definitely repurchase as will I. You can find the Fresh Infusions line at Walmart and I highly recommend you giving this product a try.